It’s been almost a month now since wind-driven California wildfires claimed the lives of 88 people and forced thousands to evacuate their homes. 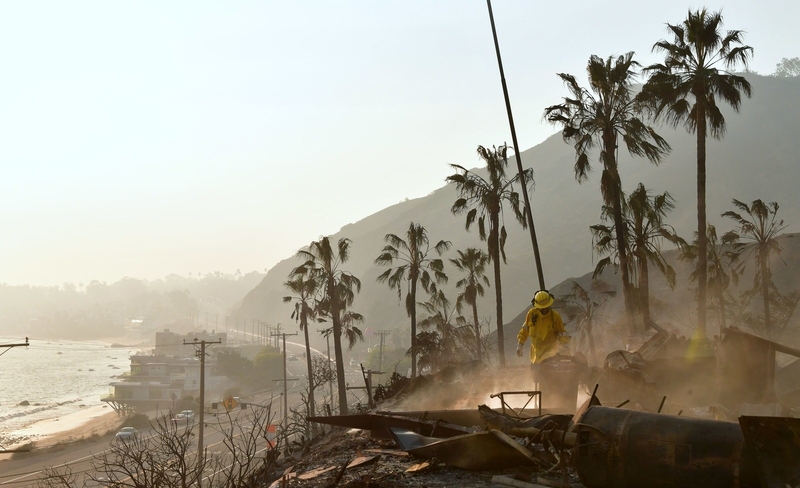 Even celebrities weren’t immune to the destruction and devastation that the fires caused, with A-listers such as Miley Cyrus and Liam Hemsworth, as well Gerard Butler, amongst those who lost their houses. In the accompanying caption, she said she was “so lucky [her] home made it” before sending prayers to those less fortunate. Others wanted to know what Caitlyn was doing to help those who don’t have the money to replace what they’ve lost. However, while the criticism was rife, some jumped to Caitlyn’s defence, with one saying that feeling blessed was hardly bragging. One person branded the caption “horrible” before going on to call Caitlyn selfish. Appearing on Ellen, Kim defended the couple’s decision, saying that it wasn’t selfish because the firefighters she’d hired were under instruction to protect the entire front line. According to a report by TMZ, neighbours actually thanked Kim for saving their homes.